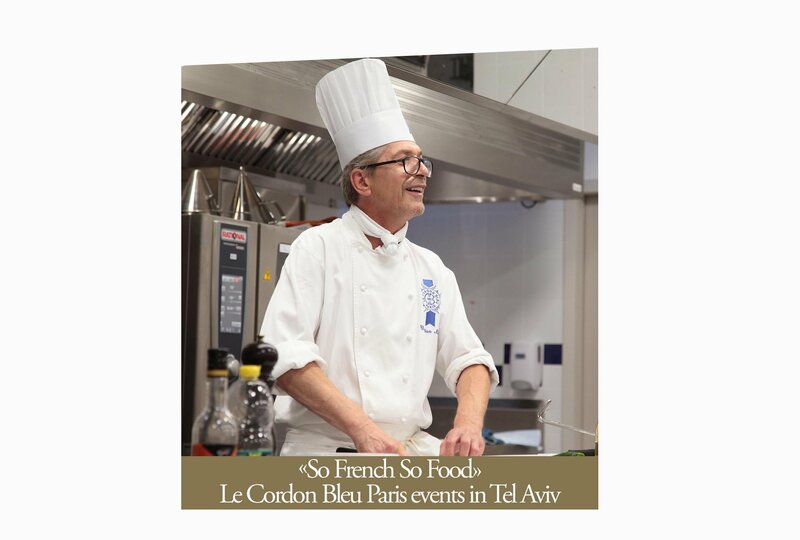 As part of the So French So Food event, the French Gastronomy Week in Israel organised by Business France and Institut Français, Le Cordon Bleu Paris will be represented by Christian Moine, Chef Instructor and Alexandre Marine, Le Cordon Bleu Paris Recruitment & Development Representative. They will be welcomed by Chef Meir Danon, Le Cordon Bleu Paris alumni, at his school Danon Culinary Center in Tel Aviv. Culinary demonstrations at Danon Culinary Center (Hataarucha 3 Tel Aviv. 6350903) on 10, 11 and 13 February from 10am to 5pm. Pop-up dinner at Goni restaurant (Rehov Sokolov 79, Ramat Hasharon 2432234), owned by Goni Burstien, Le Cordon Bleu Paris alumna, on 13 February from 8.45pm.